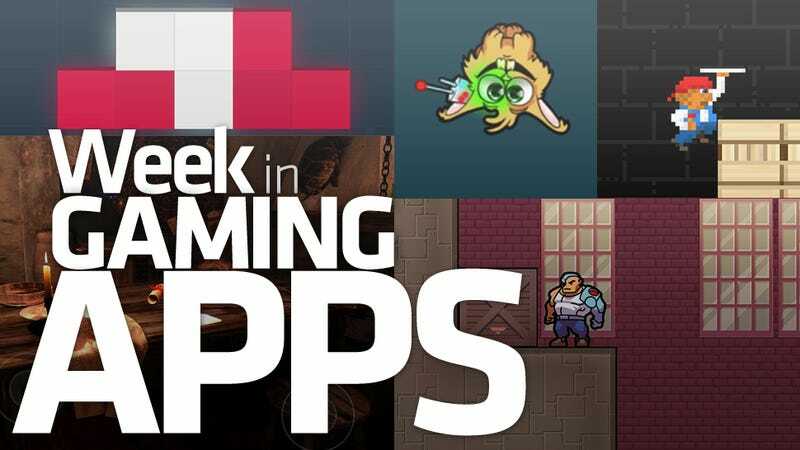 The Week In Gaming Apps As You've Never Seen It! No, Not Naked. Are you ready for another all-new, all-different Week in Gaming Apps? Well tough, it's happening. After a couple of years' worth of putting together a lengthy list packed with images and prices and lengths, we're going to harness the power of Kinja to make things a little more organized. I'll drop the links, images and descriptions of the games we've played this week into the comments section. Why? So each can be addressed individually. Organization! That is a word I heard once. ... that was your cue. Nevermind, just go look what I played, and tell me what you played. UPDATE: Yes, I duped everything. Yes, I am very sad. No, I can't fix it. Yes, I shall cry myself to sleep tonight.